“My computer has been messing up I may have missed posts about your travels. How is it going with the bad weather? I have been concerned as last said in Texas and planned on being in Dothan, Alabama Saturday.” -Edee S.
I apologize for the lack of updates recently. We have been making our quick trip across the country and have also been squeezing in some visiting along the way. We spent Saturday night in New Mexico at Armstrong Equine which is a place we chose because we knew the family from the reining world and had mutual friends. The great news is that they also offer overnighting horses for anyone traveling through La Mesa as part of their business. I saw my first foal of the year while we were there and although we wanted to stay longer it became apparent that if we wanted to get ahead of the ice storm we would have to leave in the morning. Sunday became the great race against the storm. We did managed to stay just ahead of it for the entire trip although we could feel the wind and temperatures dropping. We drove a longer stretch that day than we would have chosen normally but with the cool weather the horses were fine. They were happily munching hay and drinking water when offered. Newt seems to feel an obligation to drink a sip each time it is offered and my boys were having fun seeing how many times he would force down one more sip. We found a facility that hosts horse shows just outside San Antonio to stay the night at, The San Antonio Rose Palace. Many people we know who travel with horses look for rodeo grounds, fairgrounds or show facilities to over night at. One person even said that in a pinch you can often call the local sheriff who can unlock the fairgrounds. We haven’t actually tried that yet but it could be useful information down the road, especially in an emergency type situation. We were just outside the freezing zone but we were also tired of traveling which lead to our next great idea: go visit Barbra Schulte! 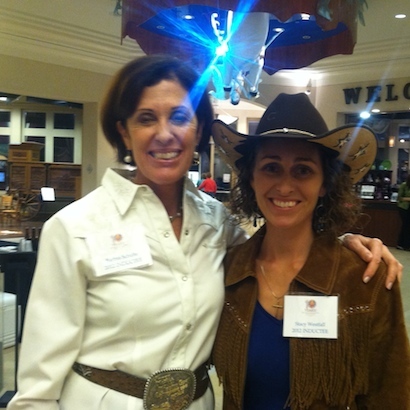 I have known Barbra for years but the last time I had seen her was in 2012 when we were both inducted into the Cowgirl Hall of Fame. I had to laugh because we had been playing ‘phone tag’ all last week and then I called her and asked if we could pull into her place and spend the night…quite a change of events! Not only did she agree but she also volunteered to cook us dinner. What a blessing it was to have a short day of driving and a long time to visit with friends. Tuesday we hit the road again and drove into Louisiana making it possible for Jesse to say he had visited his 47th state. Only three left to go: Oregon, Alaska and Hawaii. From where we are right now we only have about a six or seven hour drive to Dothan, Alabama where I will be speaking at Jeffers on Saturday. How are the horses handling this quick-ish trip? Amazing. We took them out for a ride today and they were fresh and spunky. Even after some play time in the round pen they were both bright eyed and excited when we climbed on. They are very fit from all of our riding in Arizona and Southern California and combined with the 40 degree drop in temperature has left them acting a bit more like deer rather than horses. It makes me happy to know that the travel is easy for them. ← Life does not have to be perfect to be wonderful. Hope you make it back to the Las Cruces NM area Armstrong Equine would be a great place for a clinic! Watching the Jax’s videos and I got to wondering about Popcorn and exactly how many horses you own and how you choose which ones make the trips with you. Thank you for sharing and safe travels! No way!! I was at the SA Rose Palace last weekend for a show. Must have just missed you. Would have loved the chance to say hi! Come back to TX soon! 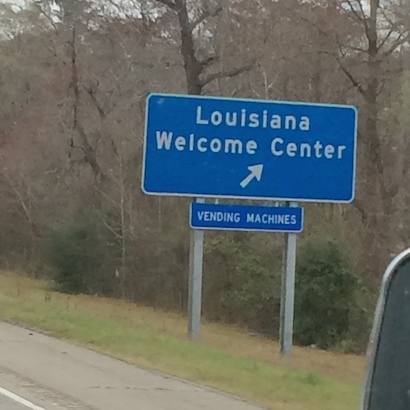 Would have loved to have waved to yall when you passed through Lake Charles. My Josie sends a kiss.